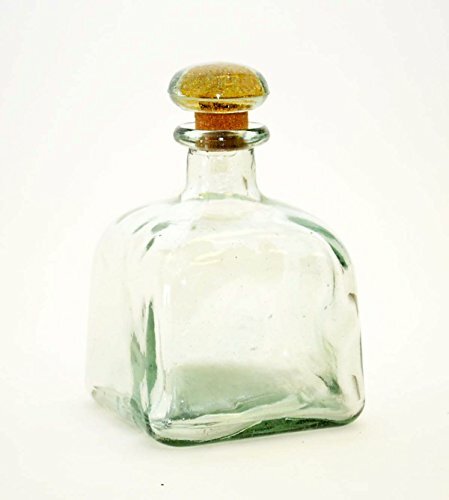 750ML Square Tequila Bottle, . Made with recycled Glass. Has a glass lid with cork stopper. Made in Mexico. Bottle only, Tequila not included.